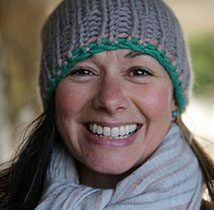 Becky is a Minded Yoga Therapist and Health Researcher from Hertfordshire. In addition to working one to one, she runs general and therapeutic yoga classes, collaborates on regular grief recovery workshops and holds yoga sessions for Carers and people with Dementia across Hertfordshire. Most recently she offers the 8 week Yoga For the Mind Course. As a researcher she has worked in collaboration with a variety of NHS clients supporting Clinical Trials in the fields of OCD, Depression in Young Adults, Psychological support in Cancer and Self Management for people receiving Kidney Dialysis. A nurse in the NHS for many years, Becky always felt that there was more she could offer the people she supported, this led to her pursuing an initial Yoga teacher training with a view to training as a Yoga Therapist. Personal experience has since also added a dimension of learning and understanding though dealing with her own health issues of Chronic Fatigue and Autoimmune disease. Becky holds her role as a supervisor with Minded close to her heart and honours the principles of unconditional positive regard and authentic communication.